To get ready for your NDIS planning meeting, set aside some time with a family member, carer, or provider, and start thinking about your goals. Consider your goals over time. What would you like to achieve over the next six months, twelve months, or the next couple of years? Your goals can be related to education and learning, work, social and community activities, housing options, or your health and wellbeing. They don’t necessarily need to be big goals either. They can be little things, too, as long as they are focused on improving your life. Examine the supports you currently have in place to determine if they’re enough for you. Do you need more or less? Supports can include help from your local community, including health services or school and sports organisations, or any assistance you receive from your friends and family. Ask yourself if there is anything you would like to change. In your everyday activities, is there anything you do that would be made easier with access to things like equipment, accommodation, or assistance with taking care of yourself at home? Is there something that can be done to improve your safety in your daily life? Write all this down so that you’re ready to discuss it during your planning meeting. Having these talking points on hand at your planning meeting will help to develop a plan that provides the appropriate level and kind of support for you. Remember to also gather any reports or assessments you may have in relation to your disability for your planning meeting. To help our existing customers transition to the NDIS, Montrose is offering individual pre-planning sessions to help you to define your goals and get ready for your first planning meeting. 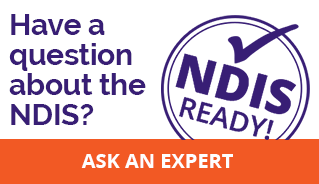 If you’d like more information on the NDIS and getting ready for your planning meeting, you can access a range of helpful fact sheets on the Montrose website to find out more.